Saskatoon Real Estate Selling Process | Slade Real Estate Inc. The Real Estate Selling Process begins when you receive my Pre-Listing Package: In order for me, as your agent, to establish the value of your property, I will have to complete the following steps in your initial home evaluation. When both assessments have been accumulated it’s at this point that I compile all the data into a home evaluation package. Once this step has been completed I will weigh your property carefully against Current, Sold & Expired Comparable’s. When I am confident that I have enough evidence to create a detailed evaluation report, I will present my findings to you and should you agree with those findings a listing agreement will then be filled out. This process normally takes approximately three days to accurately process, any less in my opinion would be unprudent. The Marketing Strategy is tailor-made for every listing, but in each case, my goal is the same: ensure the most value for your home! Here’s how I will maximize the exposure of your home. This is always part of my real estate selling process. 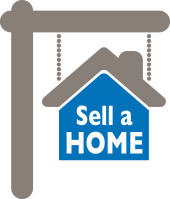 Your home will be featured on 3 different websites 24 hours a day, 7 days a week, 365 days a year until it’s sold! A Slade Desrochers Realty Executives “For Sale” sign will be placed in front of your home with my name and contact information. II. Contact agents that transact business in your area. When an offer is written on your property, it will be conveyed to me in person or by fax depending on the circumstance. Both methods of communication are acceptable. Upon receipt of an Offer to Purchase, I will present it to you and together we will go through the entire offer to ensure that everything is in order. If, by chance, there are items in the offer that are not suitable to you, we will then fill out a Counter Offer document and forward it to the purchasing party. No verbal conveyance or initial changes on the existing offer can be made. This process may be repeated several times. When both you and the purchasing party come to an agreement on the offer or counter offer, then, and only then, will there be an accepted Offer to Purchase on your property. In the event of multiple offers, I will consult with you as to what steps must be taken. Once the offer has been accepted, the buyer will begin to satisfy the conditions of the sale. These conditions, by my professional standards, are all acceptable and must be removed on or before the agreed upon time period. Should the buyer find a major deficiency that requires compensation, negotiations will possibly take place to compensate. In most cases I will have advised you of the deficiency that exists beforehand and therefore it should not be a surprise. After the buyer is satisfied, the conditions are removed from the offer and the home is considered SOLD to that buyer! Should the buyer walk away from the deal after conditions are removed, their deposit will be at risk. This is why it’s very important that the buyer has a significant deposit in place. When all the conditions have been removed, your next step will be to meet with your lawyer. I will pre-arrange for all the relevant documentation to be on hand at your lawyer’s office prior to your arrival this will ensure that your file is in proper order. Your lawyer will have you sign over the title of the house to the purchaser and unregister any mortgages or encumbrances if they exist. This step usually takes place anywhere from 1-3 weeks prior to possession. Should you require quicker assistance advise me and I will contact your lawyer and arrange for an earlier appointment. The sale proceeds from your home are normally ready for pick-up approximately 1-2 weeks after possession. Your final duty to the home is to make sure it is tidy and all the agreed upon chattels remain. And that’s the Real Estate Selling Process!